New Zealand pop star may cancel concert in Tel Aviv following criticism from pro-Palestinian Arab fans. 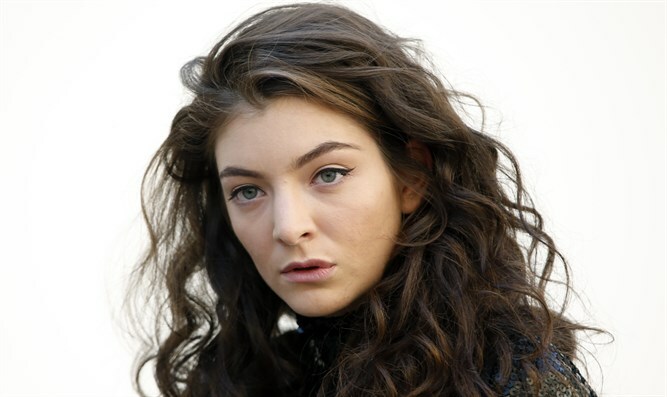 Pop star Lorde said she is considering canceling her upcoming concert in Tel Aviv following criticism from pro-Palestinian Arab fans in her native New Zealand, JTA reported Friday. “Playing in Tel Aviv will be seen as giving support to the policies of the Israeli government, even if you make no comment on the political situation,” they claimed. "Noted! Been speaking with many people about this and considering all options. Thank you for educating me. I am learning all the time too,” she wrote. Jewish New Zealand film and TV writer Dane Giraud wrote a subsequent essay on The Spinoff, arguing that the Boycott, Divestment and Sanctions (BDS) movement against Israel damages the peace process. “[Abu-Shanab and Sachs] assert that the situation in the Middle East is ‘actually quite straightforward.’ But that is to reduce complexity to a placard, to skate over a studied consideration of a long and turbulent history,” Giraud wrote, according to JTA. “That leads to the reductive idea that ‘exclusion’ is the answer – the collective punishment of Israelis, 1.5 million Arabs included, through campaigns that seek to deny them participation in the world community,” added Giraud.